A leading US theologian of the 19th century, Horace Bushnell was born in 1802 in Bantam. Bushnell attended Yale, where he first studied law, then later theology. 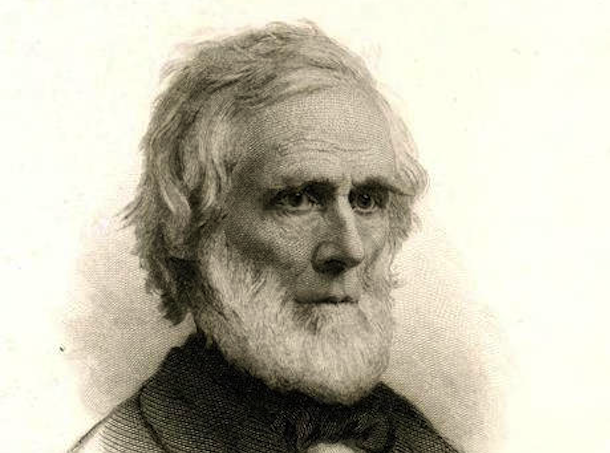 In 1833, Bushnell was ordained pastor of the North Congregational Church in Hartford, where he ministered until 1859. While in Hartford, he married Mary Apthorp and had three children (one of whom would later found the Horace Bushnell Memorial Hall). Over the course of his life, Horace Bushnell authored a dozen books and gained renown as a minister, theologian, and civic leader. Bushnell’s lasting legacy to the city of Hartford is Bushnell Park, built in the 1860s as a respite from bustling city life. Bushnell died in Hartford in 1876 and is interred at Old North Cemetery.